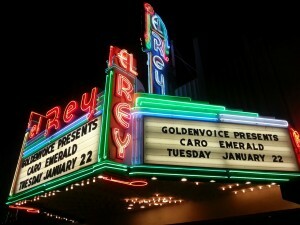 Designed by Artists for Artists, developed by: Elliot Mason, Michael Corrigan, Andy Vavricek. 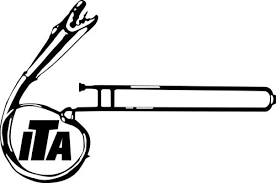 The goal was to develop a new, unique and personalized trombone for all. Some of the Elliot Mason Signature Series features are: Custom specs, multiple choices of high quality metals options, numerous screw bells, elliptical slide crooks, threaded balancing counter weights, multi-directional adjustable thumb rest and diverse lead pipe variants. 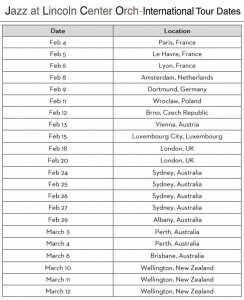 Here is the 2016 International tour schedule for the Jazz at Lincoln Center Orchestra with Wynton Marsalis. 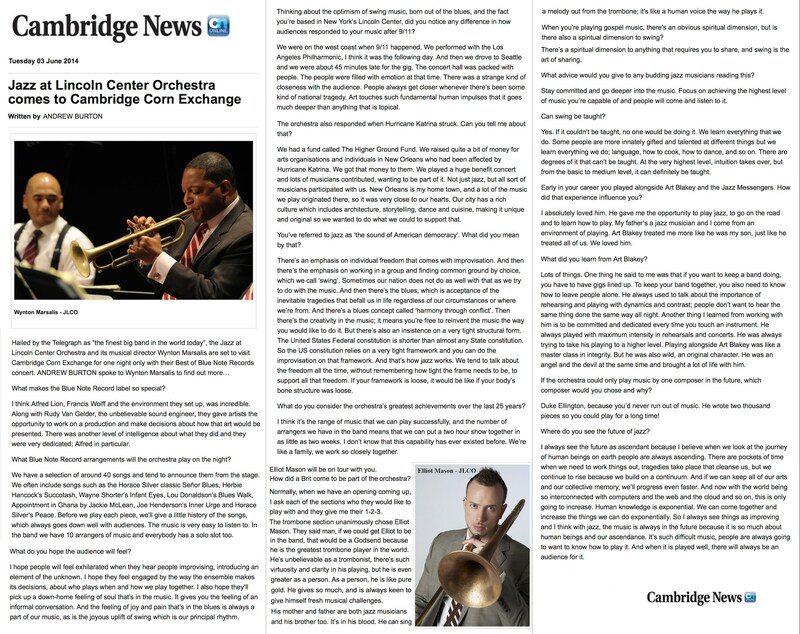 Here is an interview of Elliot talking with Ben Eshmade regarding the JLCO’s London residency at the Barbican Centre. 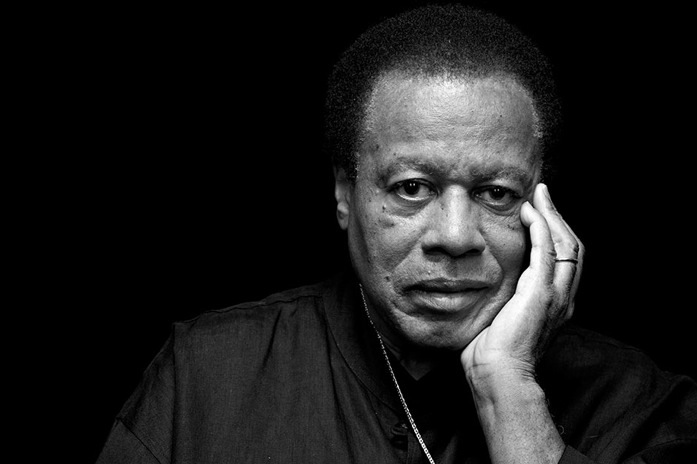 He discusses how he came to the United States, what it’s like to grow up in a house full of musicians, influences and the upcoming concert with Wayne Shorter at the Barbican. Wayne’s interview starts at 18 minutes in, Elliot continues afterwards. 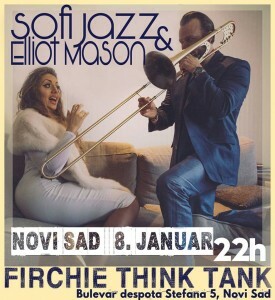 Elliot and Sofija Knezevic will be performing at the jazz cub in Novi Sad – Firchie Think Tank Studio on Friday January 8th, at 10 p.m. local time. 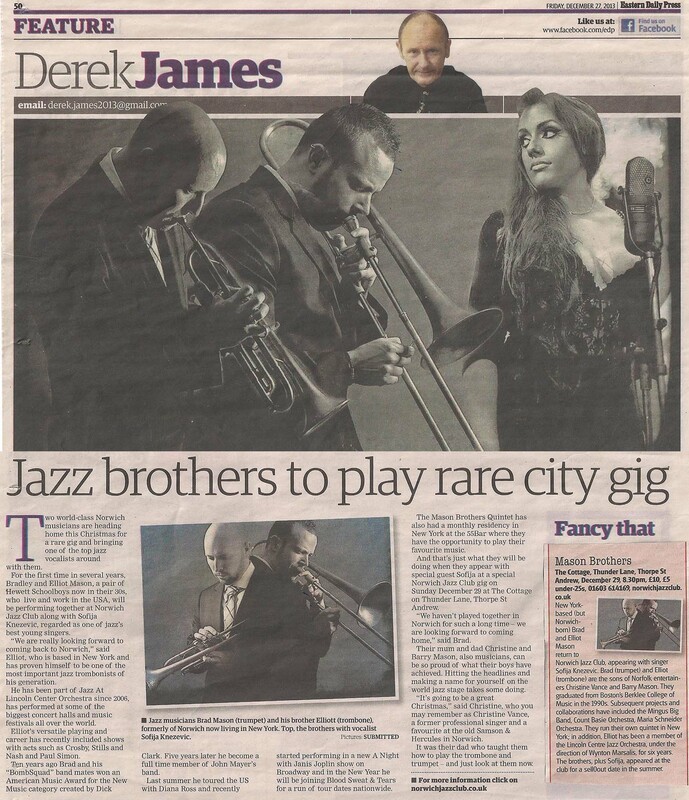 The Mason Brothers & Sofija Knezevic will be having their Norwich Jazz Club annual performance, Sunday, December 27th at 7:30 p.m. local time. 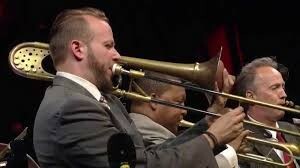 Here is a video clip of Elliot playing a solo with the JLCO with Wynton Marsalis, on Resolution from John Coltrane’s – A Love Supreme. 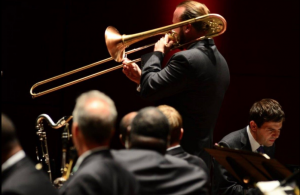 The goal was to develop a new, unique and personalized trombone for all. 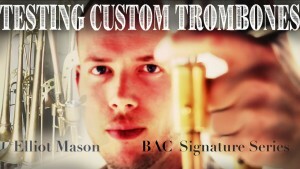 Some of the Elliot Mason Signature Series features are: Custom specs, multiple choices of high quality metals options, numerous screw bells, elliptical slide crooks, threaded balancing counter weights, multi-directional adjustable thumb rest and diverse lead pipe variants. 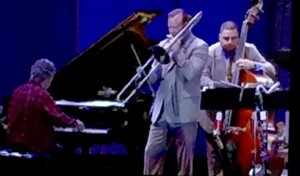 Here is the video from Elliot’s solo with Chick Corea and JLCO at the Hollywood Bowl. As Elliot started the solo, the concert’s curfew clock was under 3 minutes, it was an exciting and educating video of Elliot interacting with rhythm section and making music while being conscious of building it back in to the melody while the seconds were running down. 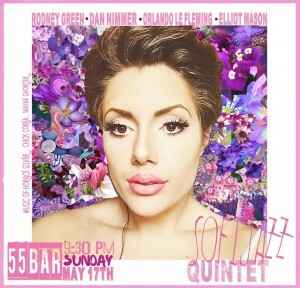 This Sunday, May 17th 2015, Elliot will be performing with Sofijazz Quintet at the 55 Bar (55 Christopher St. NY), also featuring Rodney Green, Orlando le Fleming and Dan Nimmer. Here is a video of Elliot soloing on Chick Corea’s Straight Up and Down, from a last nights performance at the Mayo Performing Arts Center. Jazz at Lincoln Center Orchestra trombonist Elliot Mason leads a Q&A with students, before the performance at Teatro Municipal de Santiago in Chile. 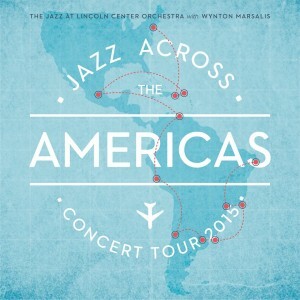 Elliot will be traveling with the Jazz at Lincoln Center with Wynton Marsalis to kick off the Jazz Across the Americas South American tour this upcoming week. 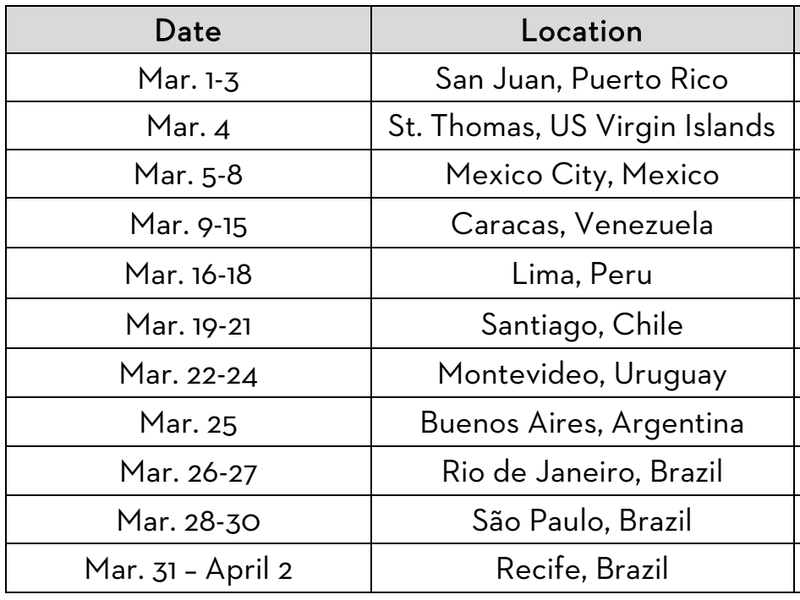 Countries include: Puerto Rico, US Virgin Islands, Mexico, Peru, Chile, Uruguay, Argentina and Brazil. 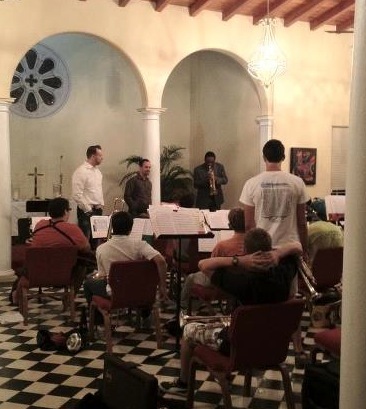 Elliot had the great pleasure of returning to Berklee College of Music and the Brass Department to perform, give masterclasses, private lessons and brass clinics during his 3 day residence. 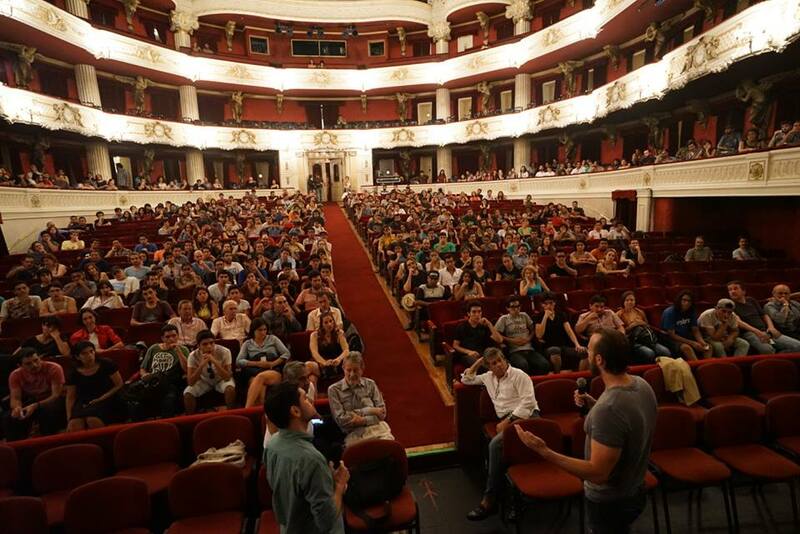 He spoke about improvisation, technique, how to practice, the positive and negatives of playing a brass instrument, music business and many other things. 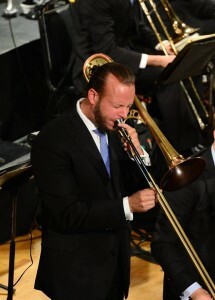 Elliot Mason was recently a judge for the prestigious International Trombone Association J.J. Johnson Jazz Trombone Competition 2015. 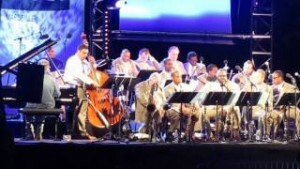 Here is a video of Elliot playing with the Wynton Marsalis Septet at the jazz festival in France – Jazz in Marciac. This is one of Wynton’s compositions that Elliot is playing a solo over – Jean Louis is Everywhere. 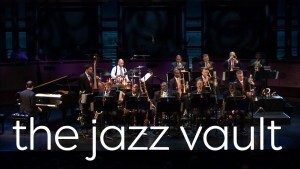 The video also features Wynton Marsalis (trumpet), Ted Nash (alto sax), Walter Blanding (tenor sax), Ali Jackson (drums), Dan Nimmer (piano) and Carlos Henriquez (bass). 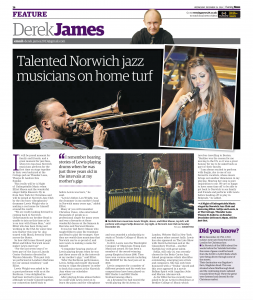 Elliot Mason and Sofija Knezevic talk to the EDP about returning to Norwich to perform at Elliot’s childhood local Jazz Club. 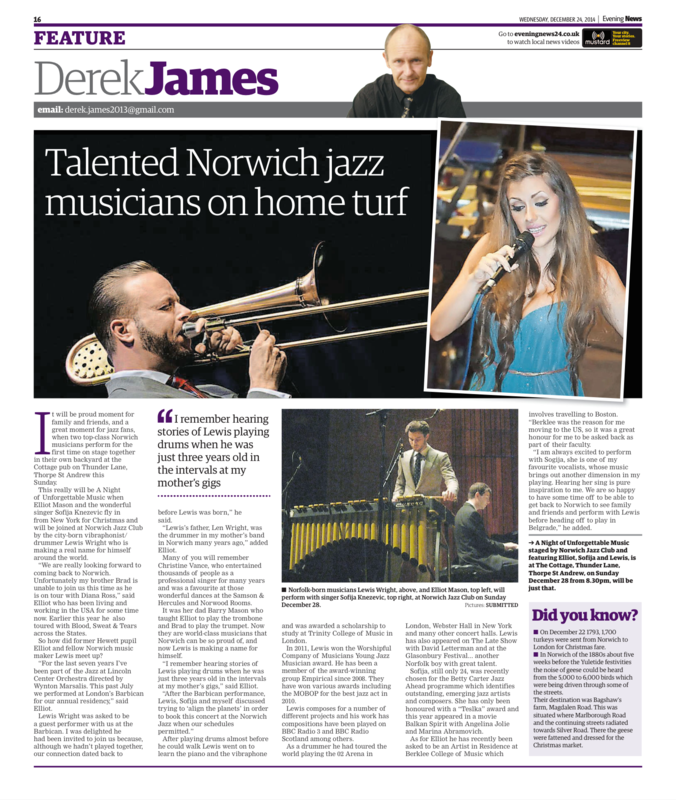 They discuss the Norwich Jazz Club, performing together and how they met special guest vibraphonist Lewis Wright. 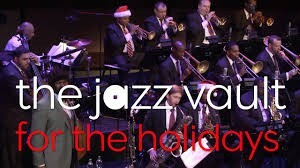 Here is a video of Elliot Mason soloing over James Pierpont’s song – Jingle Bells with the Jazz at Lincoln Center Orchestra from the 2013 Christmas Tour. 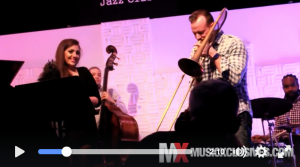 Here is a short video of Elliot Mason playing a solo over Sofija Knezevic’s arrangement of Kisa Pada (a Serbian lullaby) with the Sofijazz Quintet. 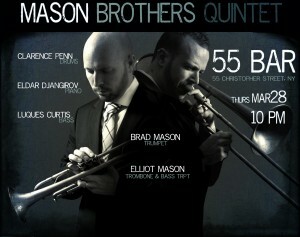 Featuring: Rodney Green, Orlando Le Fleming and Jeb Patton. 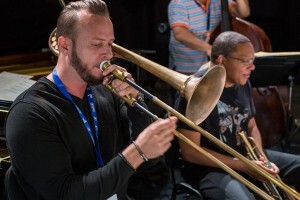 Jazz at Lincoln Center Orchestra trombonists Chris Crenshaw and Elliot Mason discuss their warm up routines and strategies, showing you their techniques to improving your tone and how to warm up properly. Tomorrow, Labor Day, we will randomly pick one winner to receive 2 tickets! 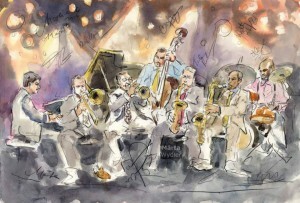 Elliot is playing with Wynton Marsalis Septet, in Marciac, France, at the Jazz In Marciac Festival. 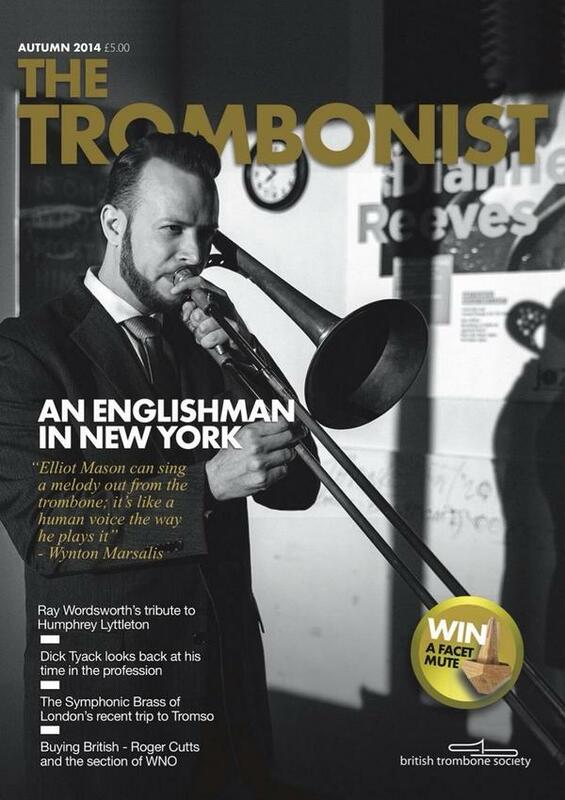 Elliot is the featured artist of the Autumn Issue of the British Trombone Society (BTS) The Trombonist Magazine. 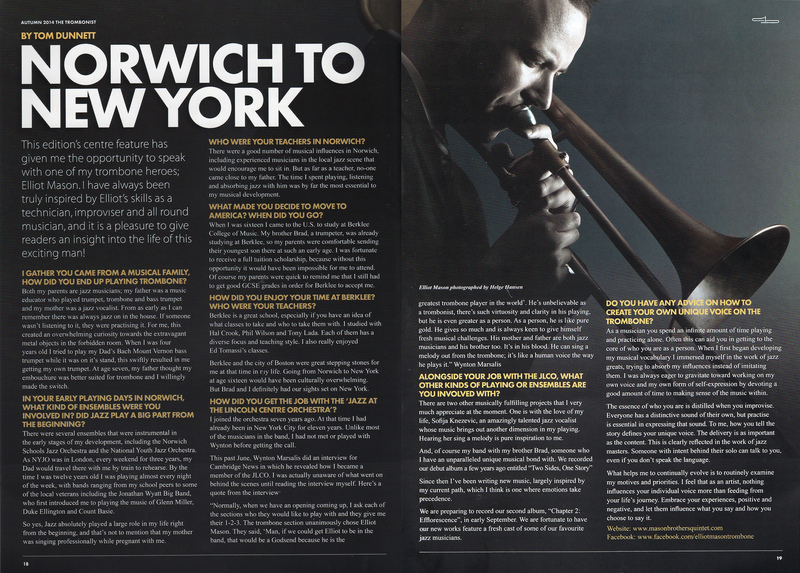 Some of the topics discussed in the interview are: How to create your own unique voice on the trombone, how he got the position at the JLCO, what made him move to America, who his teachers were and how important his early stages of development in Norwich, UK were. 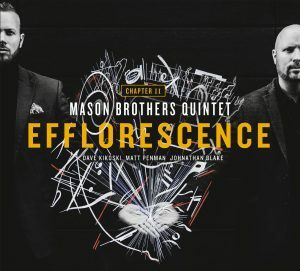 The Mason Brothers continue their musical journey as they prepare to record their highly anticipated second album, Chapter 2: Efflorescence, live at Dizzy’s Club Coca-Cola. 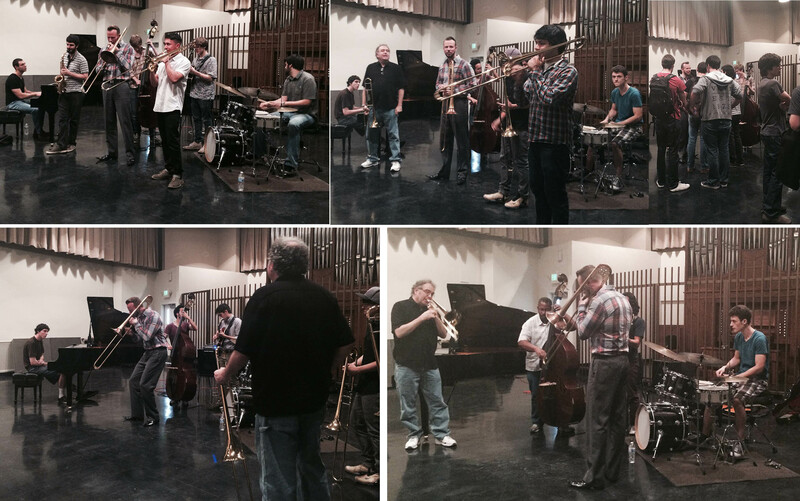 The all new works will feature a fresh cast of today’s finest jazz musicians: Dave Kikoski – Piano, Johnathan Blake – Drums, Matt Penman – Bass, Elliot Mason – Trombone & Bass Trumpet, Brad Mason – Trumpet & Flugelhorn. 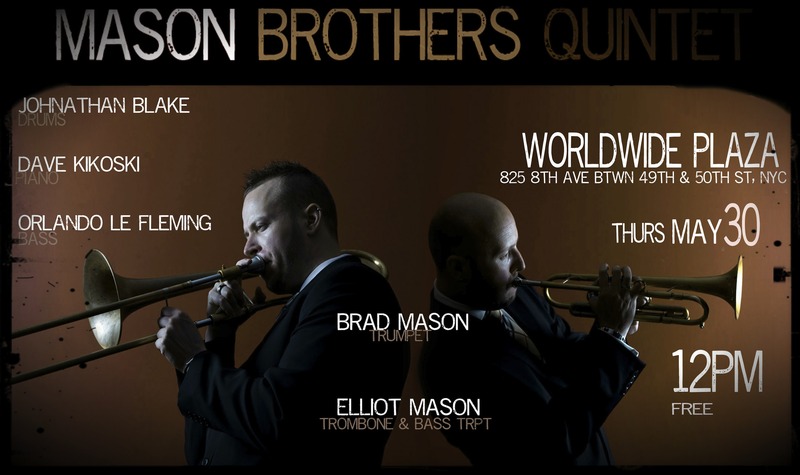 Brad will be performing again with the legendary band Blood Sweat & Tears this August. Brad will be touring this summer with Diana Ross for the “In The Name Of Love Tour”. Some of the places they will be going are: Worcester-MA, Atlantic City-NJ, New York-NY, Mashantucket-CT, Albany-NY, Philadelphia-PA, Baltimore-MD, Vienna-VA & finish with 2 nights at the Montreal Jazz Festival in Montreal-QC. 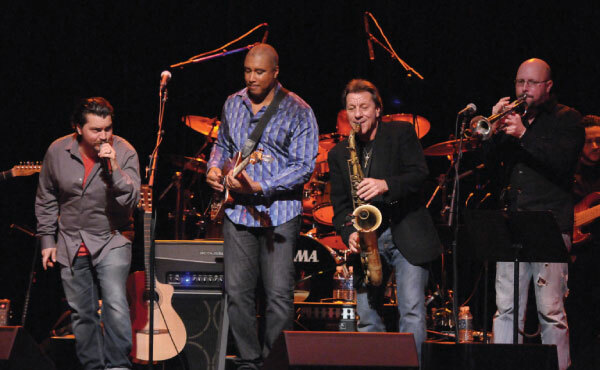 Brad will be performing with the Bernie Williams Band on June 8th Ridgefield CT (plus an afternoon celebrity softball game), 14th Newtown NJ & 15th Syracuse NY. 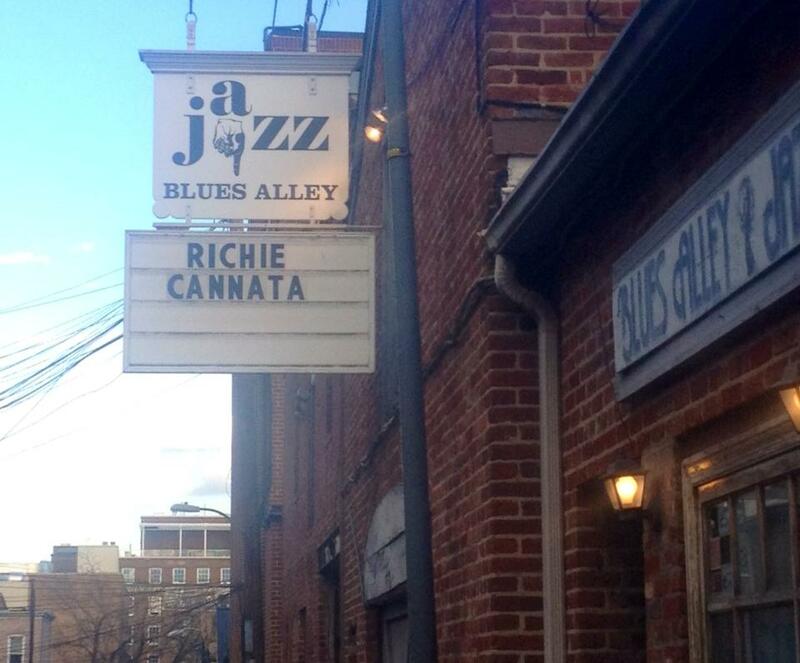 The all-star band features Richie Cannata – Sax, Erin Cannata – Vocals & percussion, Joel Rosenblat – Drums, Gene Perez – Bass, Julio Fernandez – Guitar, Chris Clark – Keyboards & Brad Mason – Trumpet. The annual Essentially Ellington High School Jazz Band Competition & Festival is one of the most innovative jazz education events in the world. 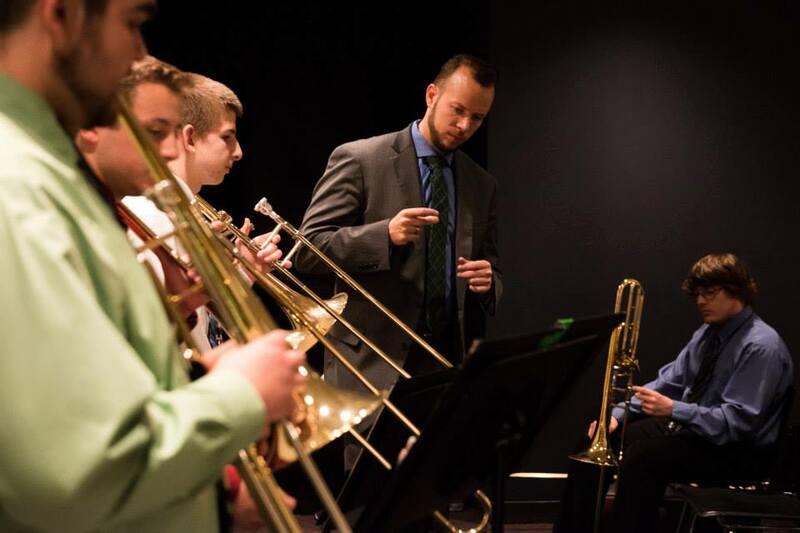 Each year, high school musicians from across North America travel to New York City to spend three days immersed in workshops, jam sessions, rehearsals and performances at the “House of Swing,” home of Jazz at Lincoln Center. 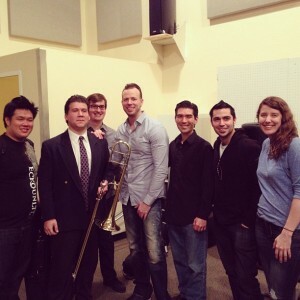 Elliot performed 2 trombone workshops focusing on trombone fundamentals, how to approach performing the music of Duke Ellington, playing as a section and understanding the architecture of the arrangement. 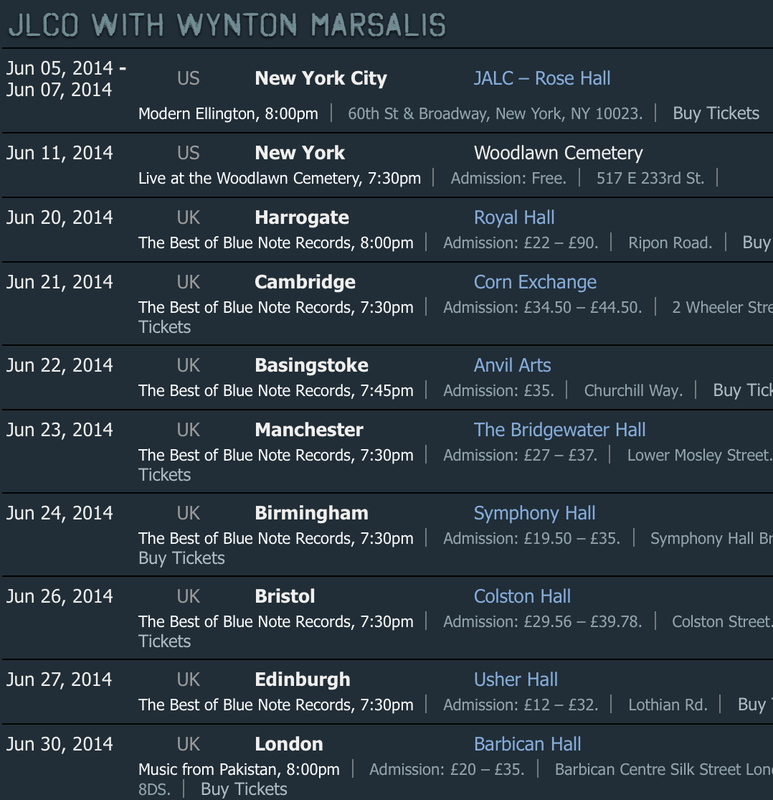 Elliot will be on tour in the U.K. this June with the Jazz at Lincoln Center Orchestra. 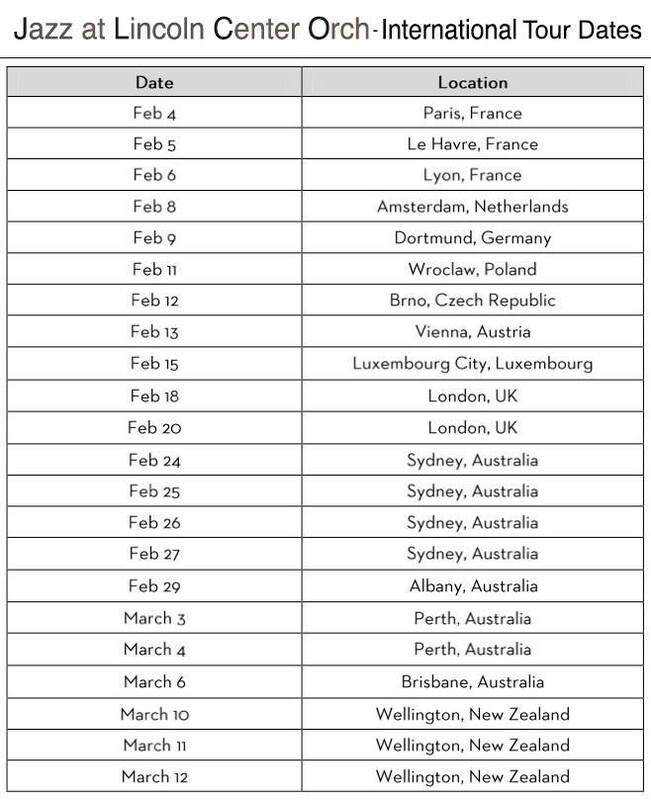 Cities include: Harrogate, Cambridge, Basingstoke, Manchester, Birmingham, Bristol, Edinburgh and London. All tour dates are now up on the site, you can see cities, dates, times, ticket prices, and even click on ‘buy tickets’ to be taken to the appropriate website to purchase tickets to the show(s) you desire. 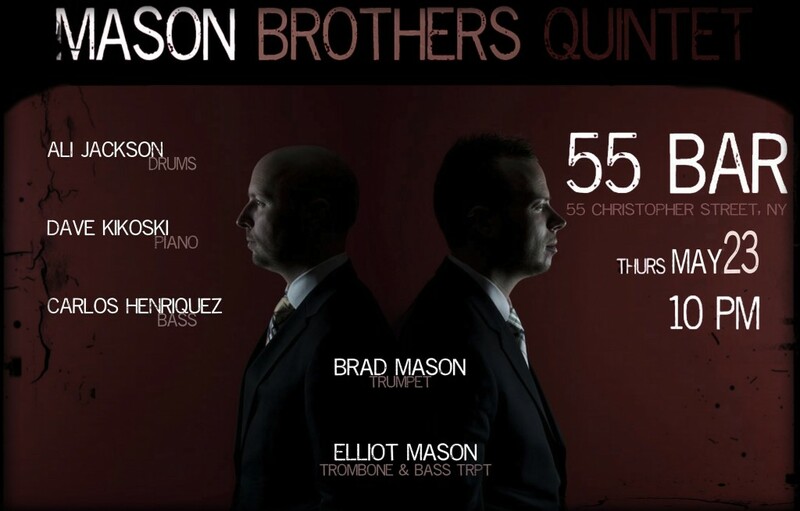 Upcoming Mason Brothers Quintet and JLCO gigs have also been updated. 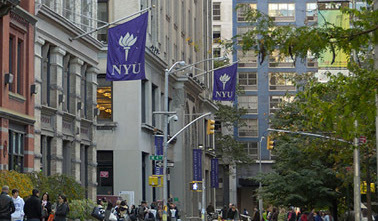 Elliot was a guest clinician at NYU’s Collegium class. 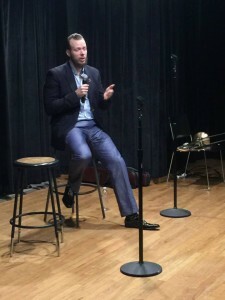 He gave a lecture about life as a jazz musician living in New York, being a member of the Jazz at Lincoln Center Orchestra and how to manage practice time while being on the road for 4-5 months of the year. 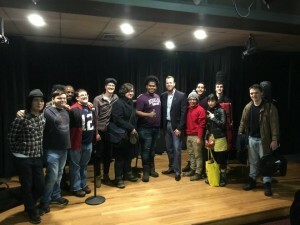 Elliot performed music from ‘Two Sides, One Story’ with the students, touching on communication, comping within a sound, playing in odd time signatures and how to use your inspirations to help create music. The Mason Brothers Quintet will feature some of New York City’s finest jazz musicians: Dave Kikoski – Piano, Johnathan Blake – Drums, Matt Penman – Bass, Elliot Mason – Trombone & Bass Trumpet, Brad Mason – Trumpet & Flugelhorn. 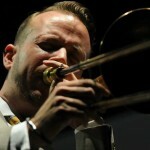 Capsulocity is a web series that aims to capture the new era of Jazz in New York City. Brad and Elliot were featured in Capsulocity’s series ” That’s Killin’ ” They performed as a duo, starting with true improv in the moment, that found a path to Rhythm Changes. 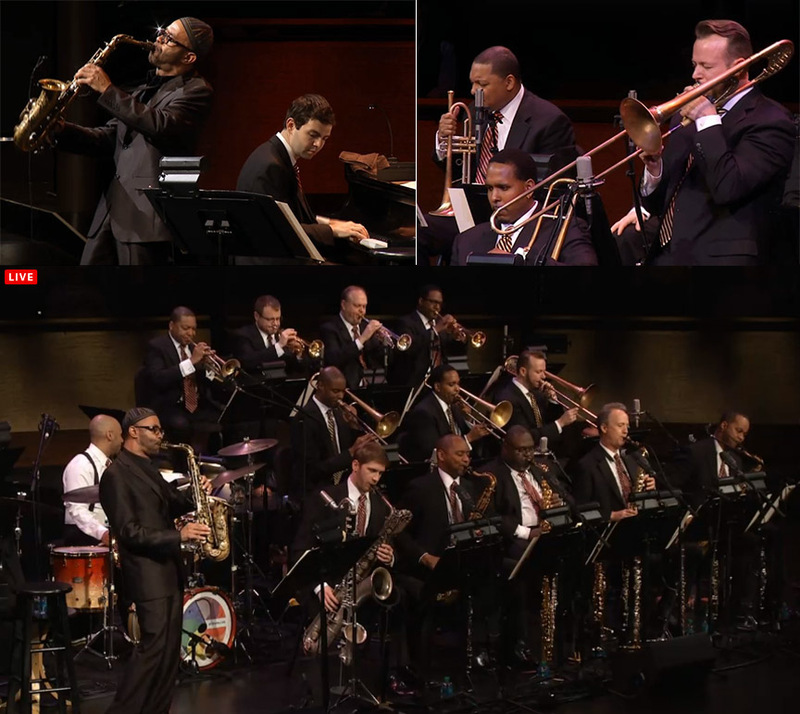 The JLCO featured the music of pianist Mulgrew Miller, and the music of saxophonist Kenny Garrett, featuring Kenny Garrett. 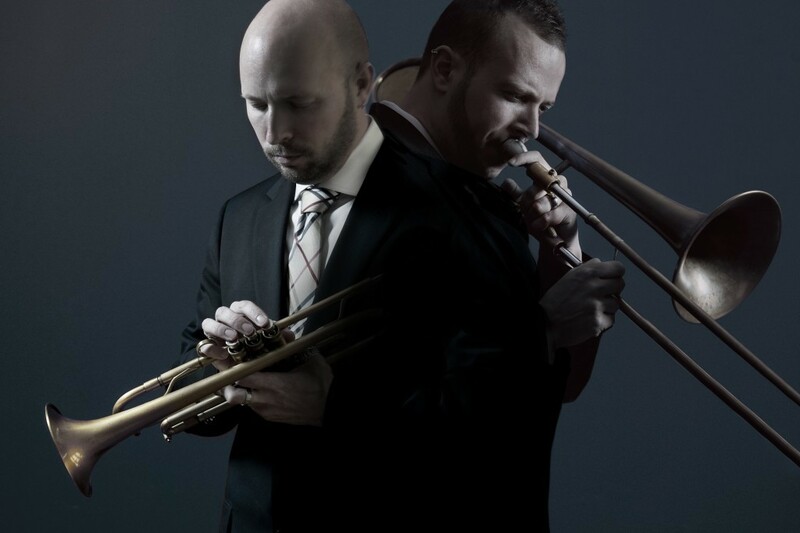 Miller and Garrett’s paths intersected during tenures with Mercer Ellington, Woody Shaw, and Art Blakey and the Jazz Messengers. 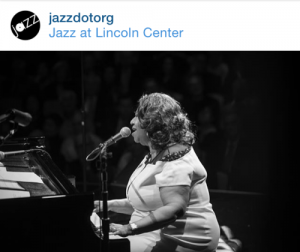 As usual, it was an honor to perform this music with the unique sound and sensibility of the Jazz at Lincoln Center Orchestra with Wynton Marsalis. 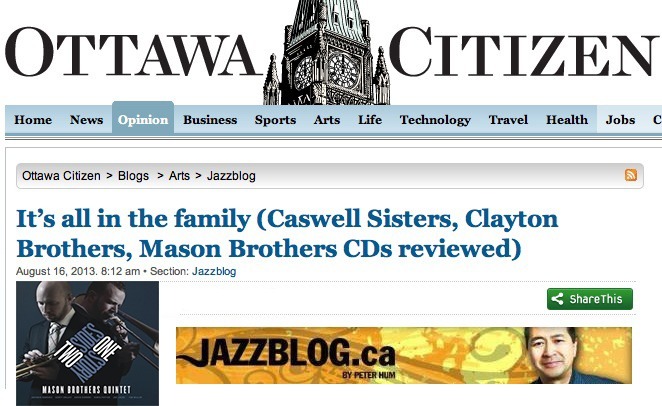 The jazz community was saddened by the loss of Mulgrew Miller in May 2013. 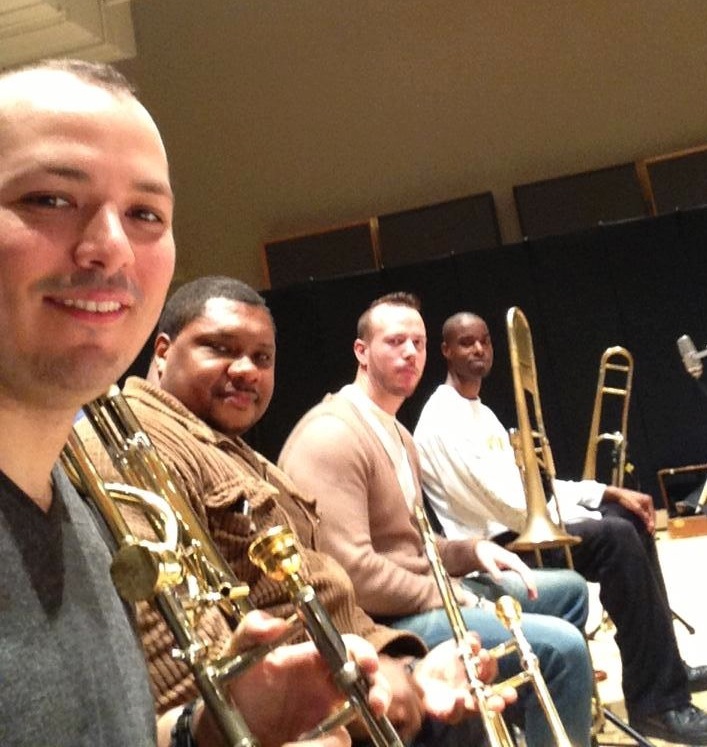 The JLCO with Wynton Marsalis performed these concerts in honor of Mulgrew Miller. 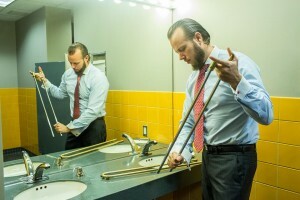 Elliot joined Mike Corrigan and B.A.C. 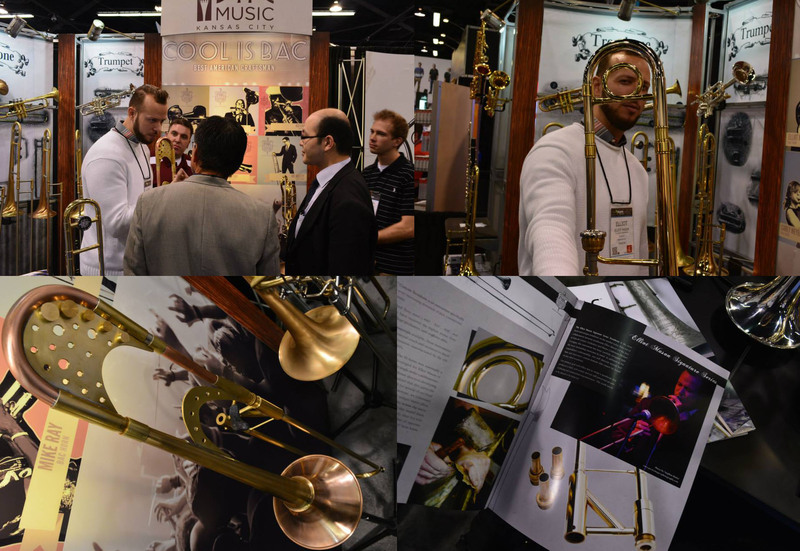 Trombones at the National Association of Music Merchants (NAMM) in Anaheim, California. 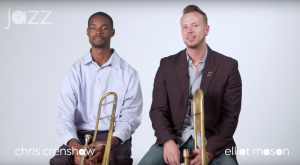 Elliot was there to answer questions, demonstrate and perform on his newly released signature series line of custom trombones. Bernie Williams Band performed at The Space at Westbury LI on Friday January 17th. 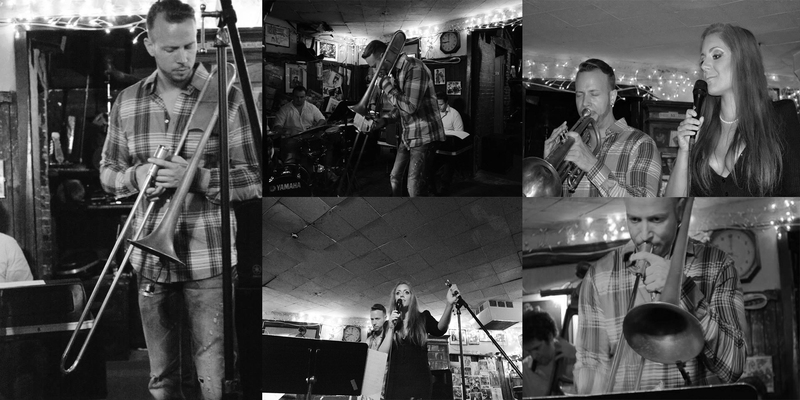 The band features Richie Cannata – Sax, Erin Cannata – Vocals & percussion, Joel Rosenblat – Drums, Gene Perez – Bass, Julio Fernandez – Guitar, Chris Clark – Keyboards & Brad Mason – Trumpet. The Brad Mason Quintet performed at the Empire State Building for their New Years Eve brunch time party at the observatory. Featuring Anibal Rojas – Sax, Ferenc Nemeth – Drums, Orlando Lefleming – Bass, Art Hirahara – Piano & Brad Mason – Trumpet. 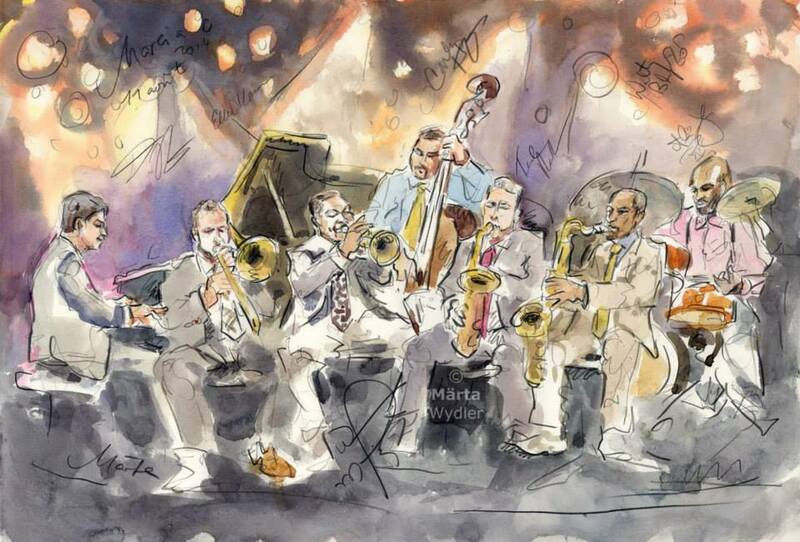 Stephen Sondheim and Wynton Marsalis compare musical notes on their shared passion for our city in A BED AND A CHAIR: A New York Love Affair, an original production from New York City Center and Jazz at Lincoln Center. 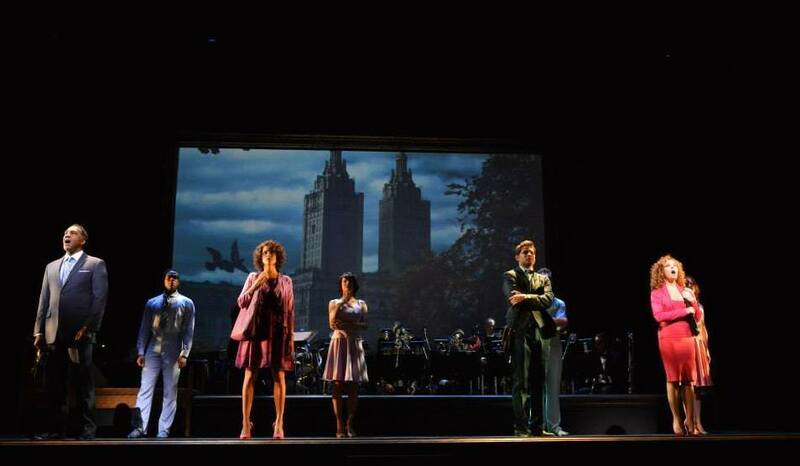 Cyrille Aimée, Jeremy Jordan, Norm Lewis and Bernadette Peters headline the show, directed by frequent Sondheim collaborator John Doyle. 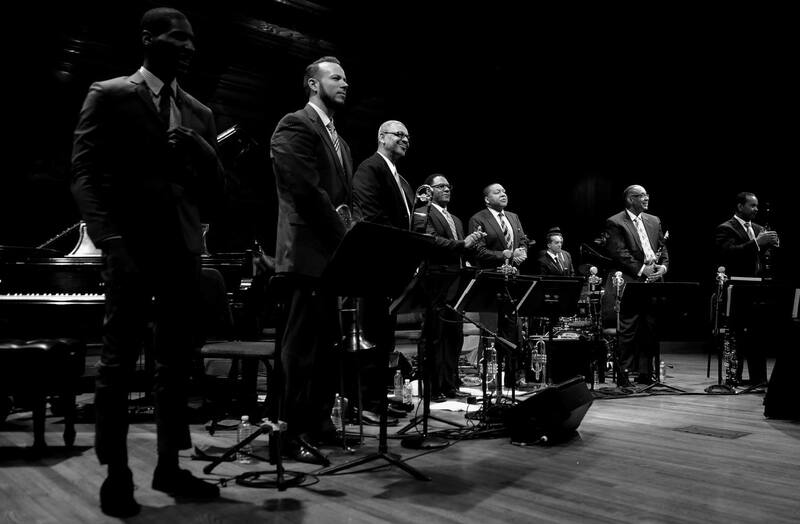 A BED AND A CHAIR features more than two dozen Sondheim compositions, each piece newly re-imagined under the music direction of Wynton Marsalis and performed by Marsalis and the Jazz at Lincoln Center Orchestra. A review in the Los Angeles Times, Brad performing with Diana Ross at the Hollywood Bowl concert in L.A.
Elliot & Brad were interviewed for an article in their local paper. 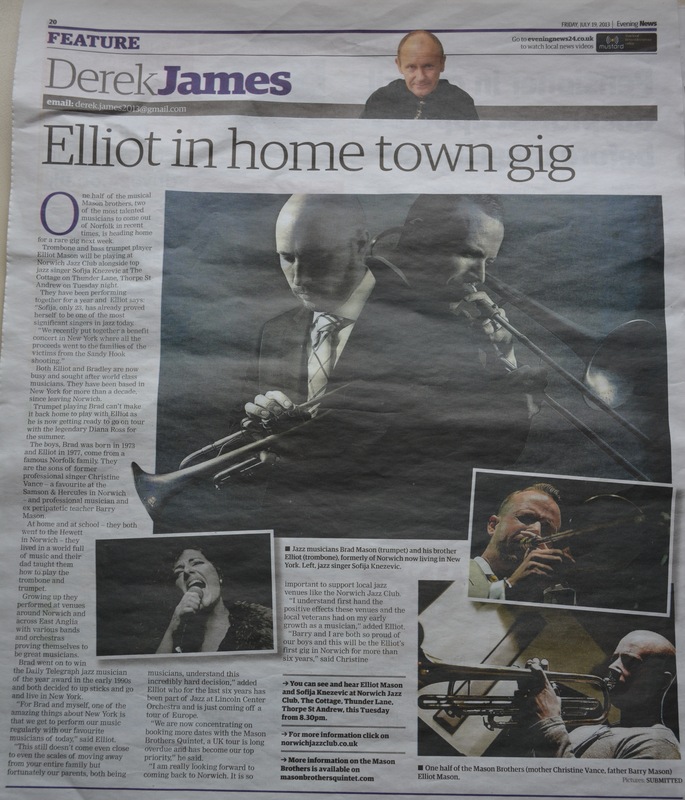 Elliot, who had not played in his hometown for 6 years, had an extremely warm welcome, selling out his childhood local jazz club in Norwich, UK. 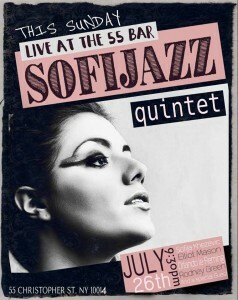 He was joined by Sofija Knezevic, they performed some Jobim, Horace Silver, Chick Corea, standards and originals. 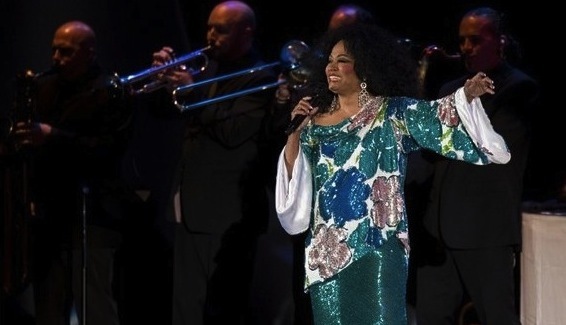 Brad will be on tour with Diana Ross this August. 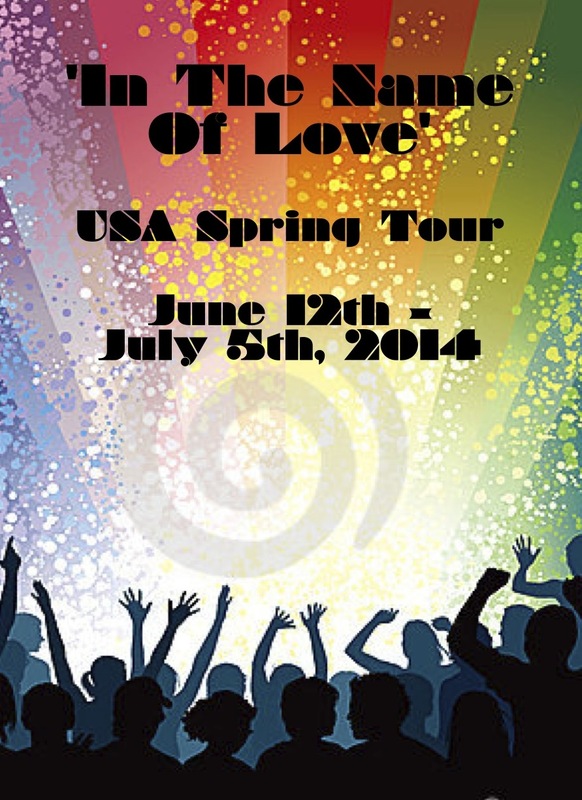 Dates in the U.S. include: Palm Springs CA, San Francisco CA, Los Angeles CA, Boston MA, Providence RI, Hartford CT, Stamford CT, Vienna VA, Newark NJ, Atlantic City NJ. Now in his seventies, the pianist-composer Chick Corea will be celebrated during JALC’s 25th Anniversary Season with a multi-venue festival. 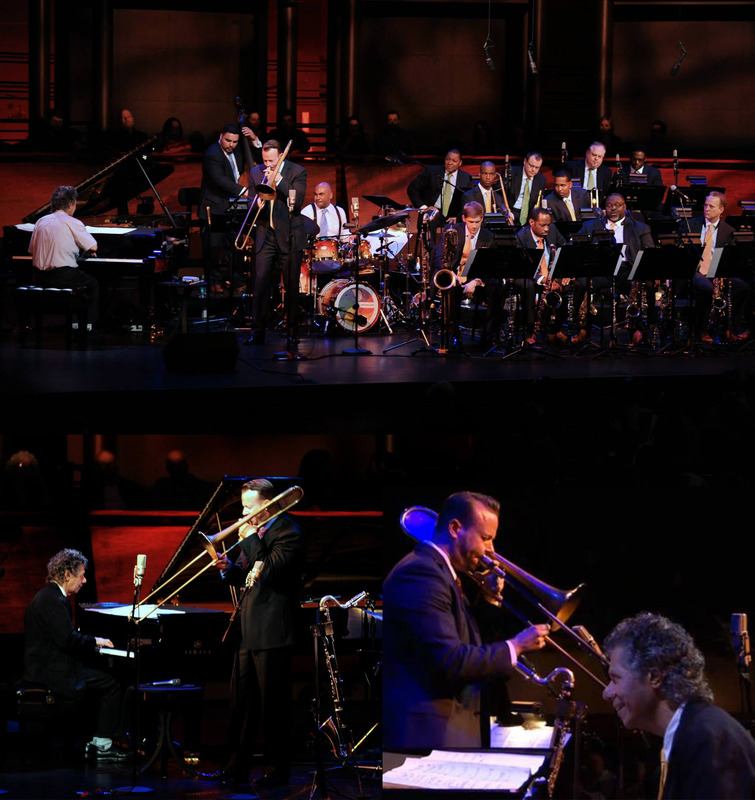 On the Rose Theater portion, Corea will reconnect with the Jazz at Lincoln Center Orchestra with Wynton Marsalis in a reprise of their highly acclaimed collaborations in 2011, performing deeply original arrangements by JLCO members of Corea’s masterful songbook. This interplay showcases Corea’s singular abilities as a musical storyteller, with vocabulary that contain a global range of reference-Bach and bebop, Bartok and the blues, Mozart and montunos, Ravel and rumba, Stravinsky and samba, all tempered with the language of swing and the Spanish Tinge. 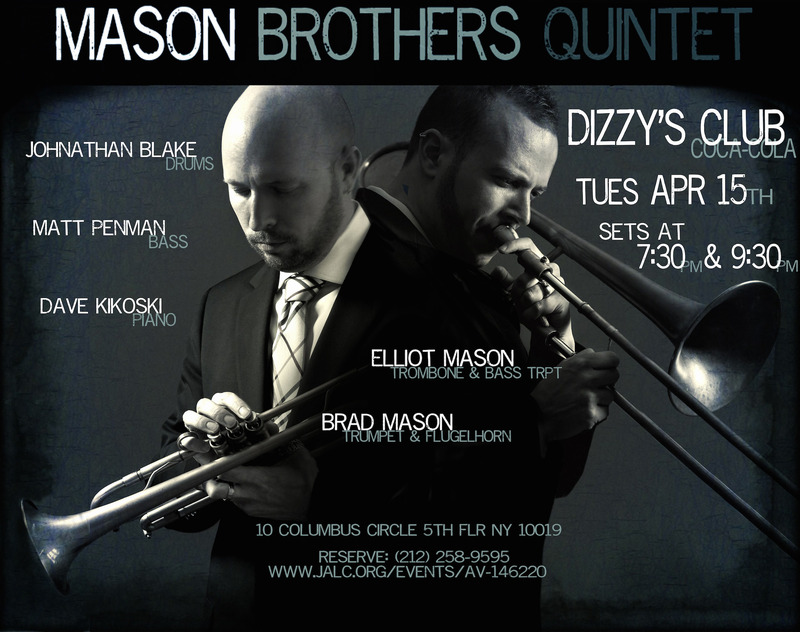 Elliot was interviewed by Bruce Lindsay for Jazz Journal, covering questions about the uniqueness of the JLCO, young emerging players, NY vs the UK jazz scene and future projects with the Mason Brothers Quintet. 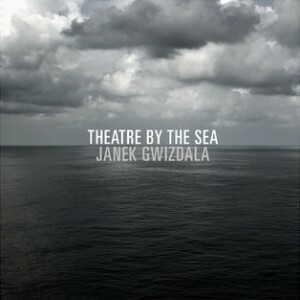 Elliot is featured on Janek Gwizdala’s latest album, Theatre By The Sea. 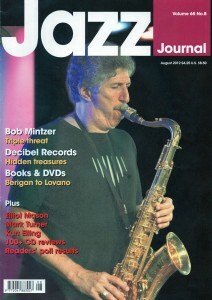 Personnel includes: Peter Erskine, Alan Pasqua, Janek Gwizdala, Randy Brecker, Mike Stern, Bob Franceschini, Nir Felder, Lizzy Loeb and Sergio Vallin. Click here to download this album for free. 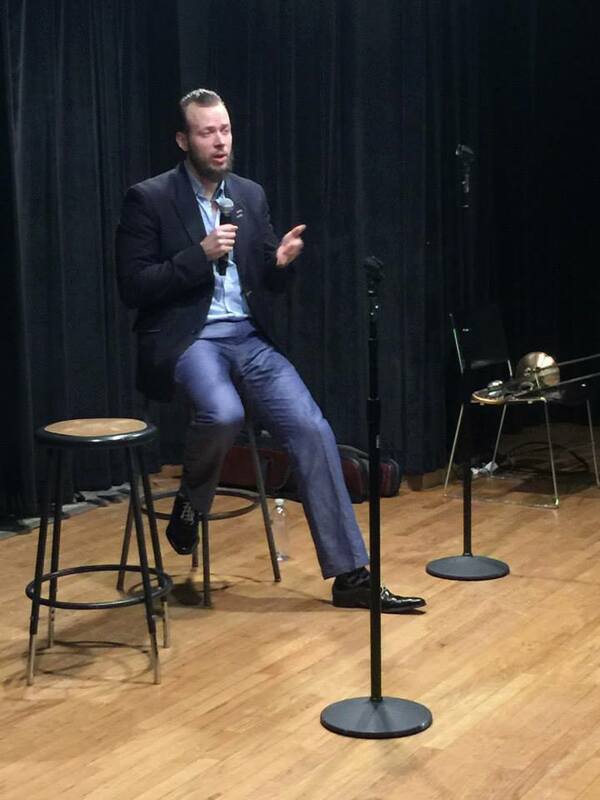 While on the road with the JLCO, Elliot stops by the University of Nevada, Las Vegas to give a clinic to their Jazz Studies Program. 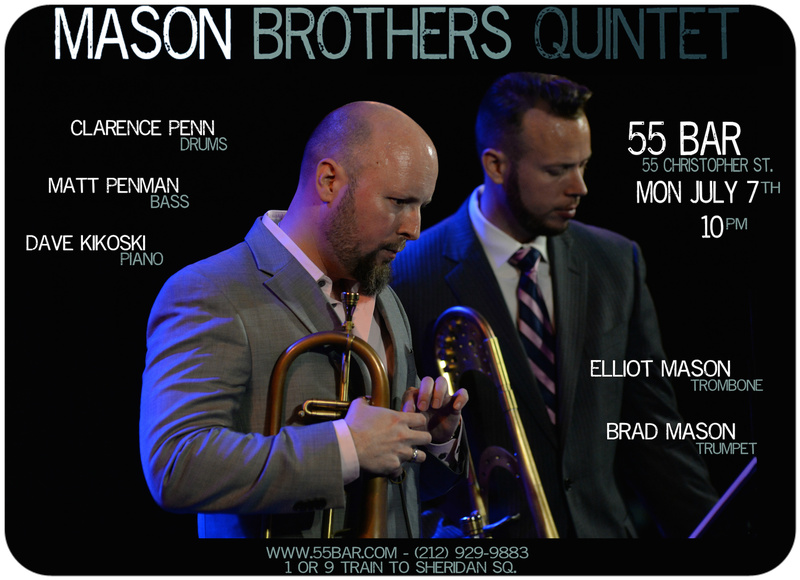 Brad will be joining power house singer Morgan James and her band January 12th at 54 Below in NYC. 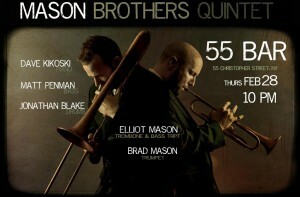 Featuring Morgan James, David Cook, Doug Wamble, Ron Blake, Reuben Rogers, Eric Harland & Brad Mason. Brad performed at the Dave Brubeck Tribute (Birthday) concert Dec 6th at the Palace Theater Waterbury CT featuring Darius Brubeck, Richie Cannata, Bernie Williams, Rachel Z, Omar Hakim and many others. 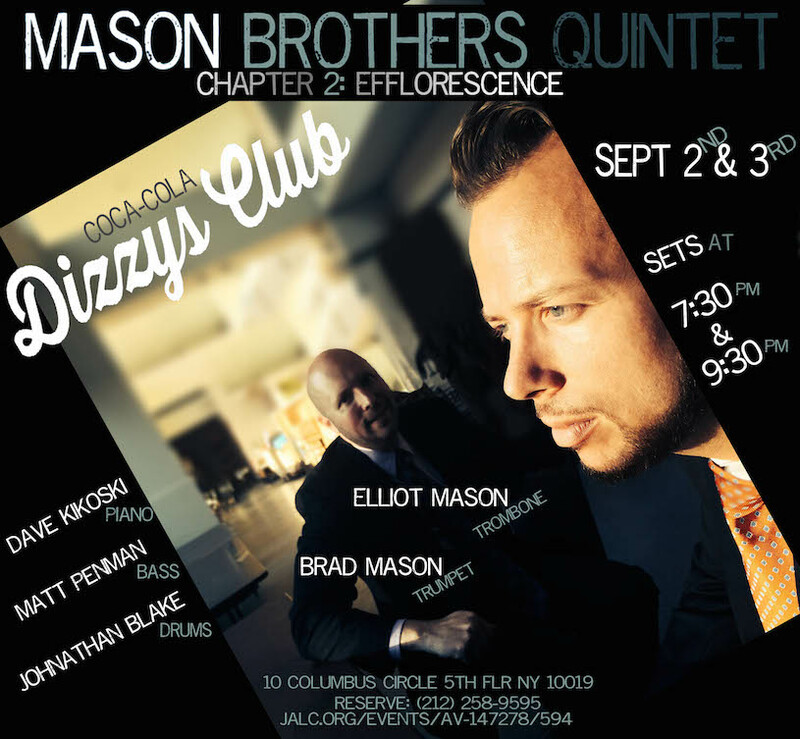 Brad & Elliot will be supporting their students from Northwestern University tonight November 6th at Dizzy’s Club CocaCola NYC. 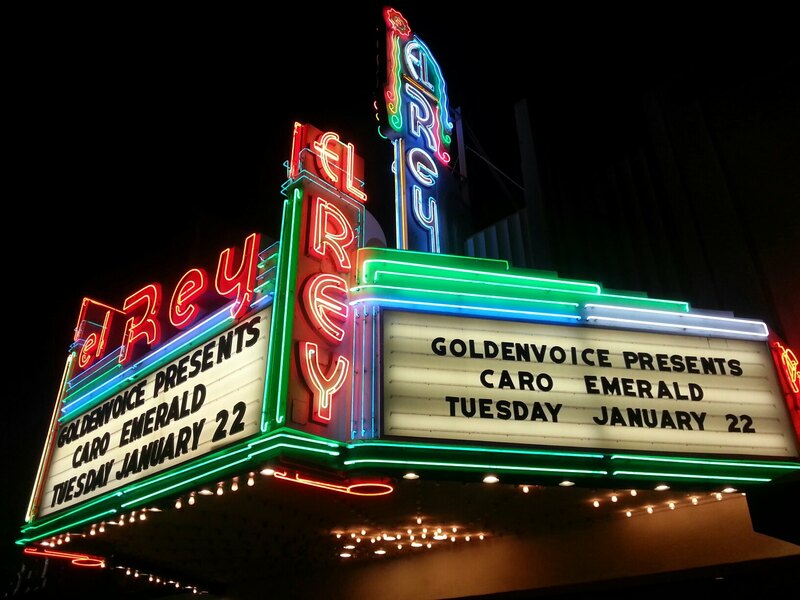 The student ensemble will perform standards & originals, 2 sets 8pm & 10pm. 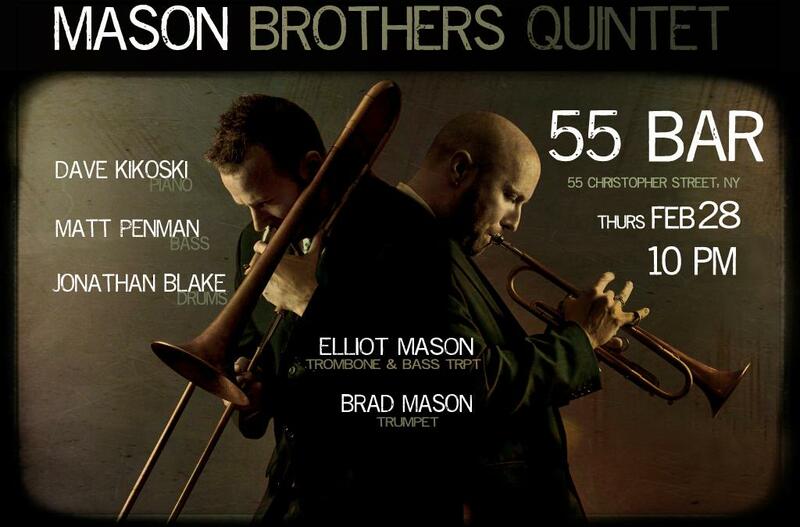 Brad will be playing with the Christian McBride Big Band at the NJPAC October 17th for the Jazz for Kids event. 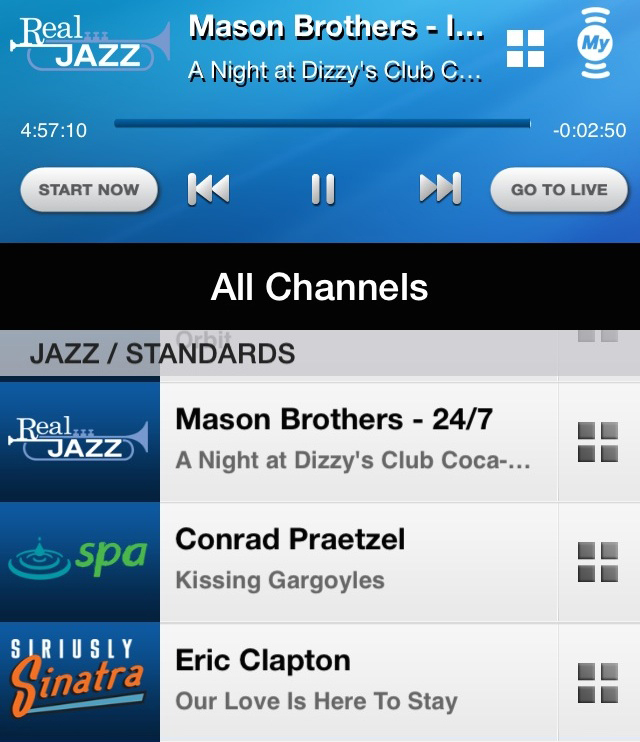 Featuring Christian McBride, Pat Metheny, Maceo Parker, Fred Wesley & George Duke. This weekend Brad will perform with the Richie Cannata Band & the Bernie Williams Band for shows in Long Island, West Hamptons & Yonkers. 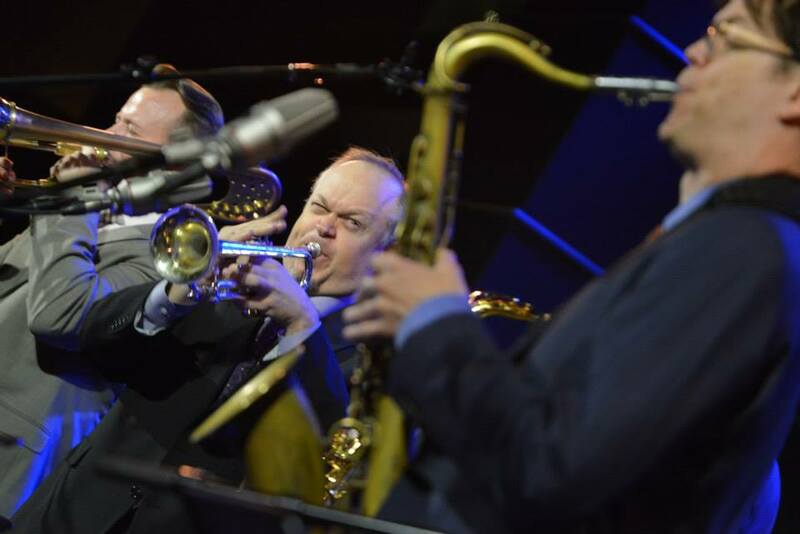 Brad will be performing with the Christian McBride Big Band at the Troy Performing Arts Center in St. Louis Saturday April 21st.